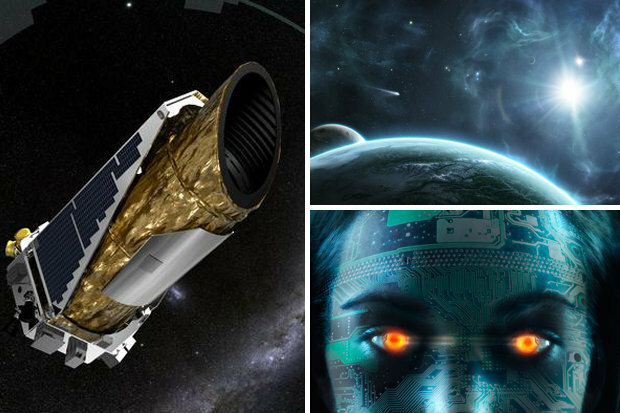 The £411 million Kepler mission, launched in March 2009, is on a mission to find Earth-like planets in the Milky Way galaxy that could support life. So far the ummanned spaceship has located more than 1000 alien worlds to date, although only 100 could be like Earth. It finds other worlds by recording tiny brightness dips caused when a planet crosses a star’s face – like our planet does when it orbits behind the sun. This comes after Kepler was wildley written off in May 2013 when its steering failed. But the Kepler team quickly figured out a way to keep the telescope stable enough.It then watches patches of space for about 80 days at a time to search for planets and other cosmic bodies and phenomena. That’s what Kepler has been doing in its K2 mission, which NASA greenlit in May 2014. Kepler principal investigator Bill Borucki said the new mission could find ‘dozens, or maybe even hundreds’ of exoplanets.